I will show some of my recent and "better" works. I say "better" as in finished and more towards completed pieces. I want to give just a taste of what I can do, of course. I will say that my gallery may be a better experience if you decide to delve deeper into my artistic skill. Otherwise, I appreciate your time and consideration. These are pieces that I feel that took a lot of effort and practice. I also try lineless and simple backgrounds with my work. What do you do when you're in a hard spot art-wise? 20 deviants said I take a break. 11 deviants said I look to others or find new things to get inspired by. 8 deviants said I experiment more and see where it goes. 6 deviants said I look for tutorials/studies that interest me and do that for a while. No deviants said I dont do anything because I don't usually hit a rough spot. A little about me before you explore! 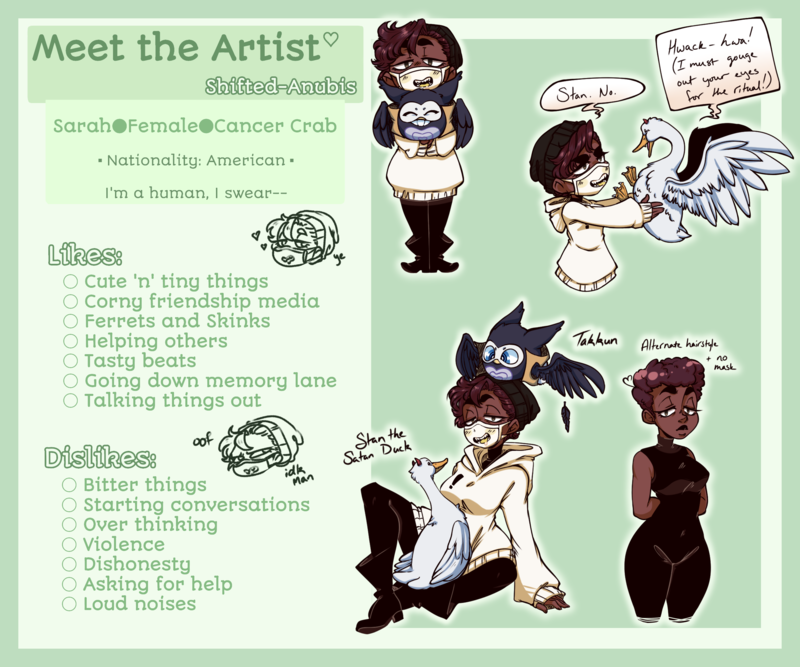 I'm Sarah, a 10+ year artist that would love to get into character design and concept drawing. I am currently still thinking about how I could go about story boarding and anything else that could help expand my horizons. These are my basic sites. Please do keep in mind that they may be a little messier, have more mature pieces, or somewhat "dead" atm as I am still handling a lot of things at once. These link also show more of my personality and humor as well, so I do urge you to have an open mind about what you may see or even ask questions. The site you are on now, DeviantArt, is where most of my freelance/experimented/commissioned works lie. ArtStation :: My portfolio site. TeePublic :: I hope to use it more in the future to get more involved with graphic design/logo/brand building. Twitter :: One of my actual "social" social accounts. I use it mostly for finding fun things and inspirations. I communicate and post there too at certain times. Tumblr :: I ENCOURAGE YOU TO TAKE A LOOK HERE FOR MORE OF MY VARIED WORKS.This is my school-based blog, it contains what I have found/kept/been working on throughout my college career. It will still be updated as I find more of my older pieces and make more assessments in college. Tumblr2 :: My random reblogs of fun. Picarto :: My main streaming account. Youtube :: My main video hub. I am pushing myself to make more content I'm passionate about. DeviantArt is more of a beginning of actually posting my school projects somewhere. Click the button below to see what I mean. 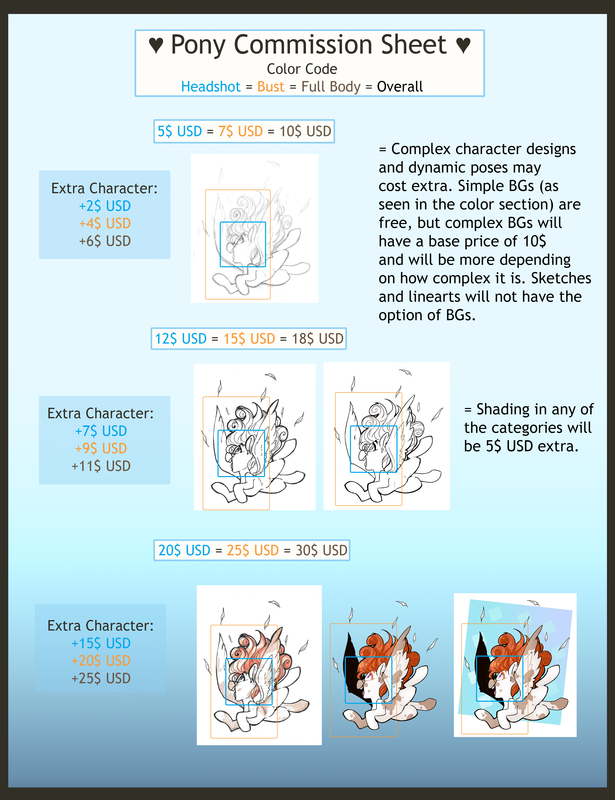 The first few are already going to be seen in Tumblr Blog, but the rest are from my last lessons of 2D Design course. More of that course will be documented on Tumblr soon enough. NOTE: Be sure to let me know if you decide to support Flora, so I can be sure to mark you as special. Wow!! Your art is amazing! !